Beurer 3 in 1 Mood and Reading Light is rated 4.0 out of 5 by 1. 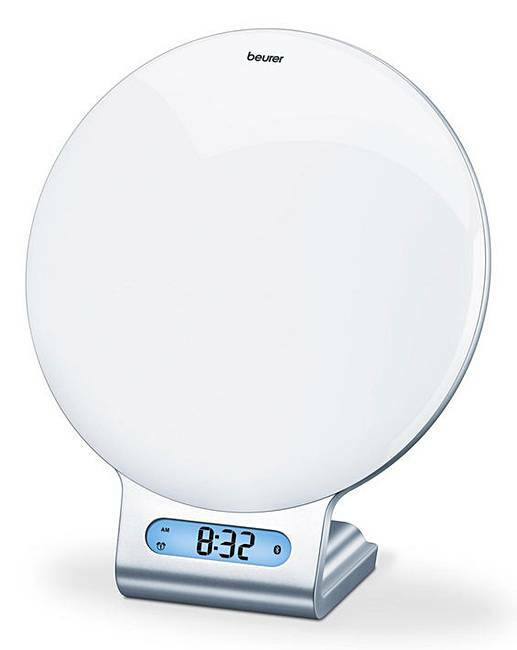 The Beurer 3-in-1 Wake Up Mood and Reading Light slowly brightens up your bedroom up to an hour before the alarm is set, recreating the sunrise you may experience in the summer. 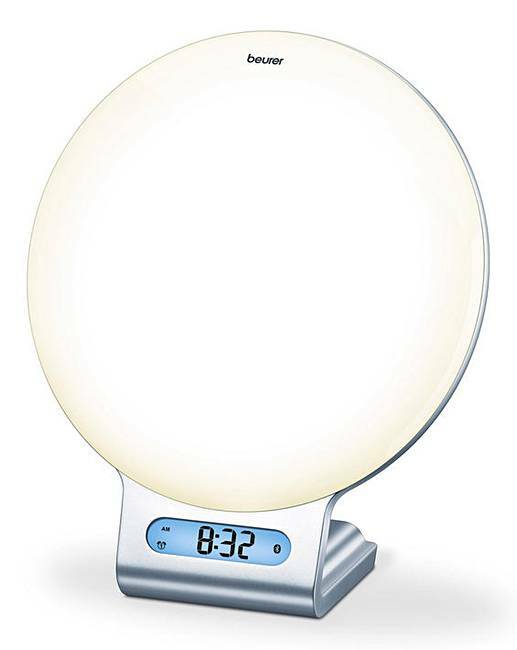 Using the example before your alarm goes off at 7am, this wake-up light will start to light up from 6am (you can set the time to suit you) with a very dimmed light, but over the set time it will get brighter and brighter so by 7am when you want to get up the light shall be at its brightest. By doing this it helps your body to stop producing the sleep hormone melatonin and to start producing the mood-enhancing hormone serotonin, ensuring you're ready for the day. This light will also help you to enjoy a better night. The sunset simulation gently fades out the day, the soft melodic sounds and red dimmable light help you drift into the first sleep phase. 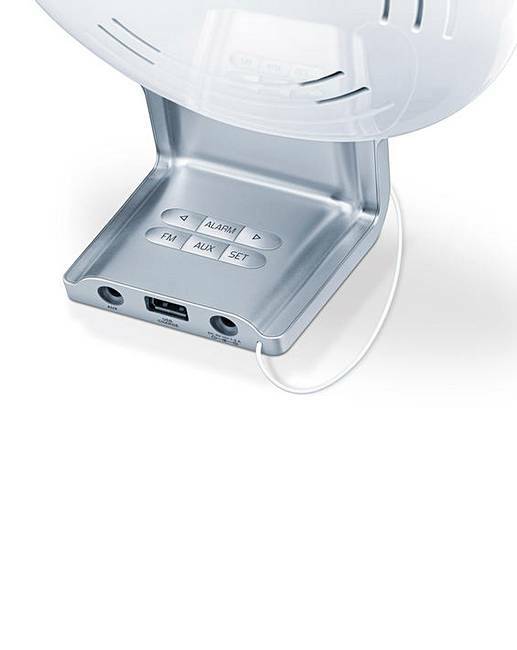 For ease of use you can control it via the Beurer LightUp app. 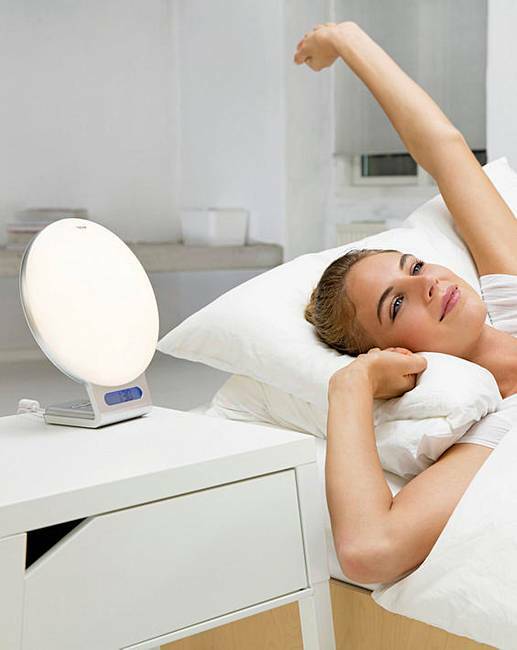 You can choose whether to wake up with a sunrise or your favourite tune and also set the brightness of the lamp. 3 year manufacturer's guarantee. 6 wake-up melodies and 4 sleep melodies. Snooze function 1-30 minutes. 10 radio memory spaces. 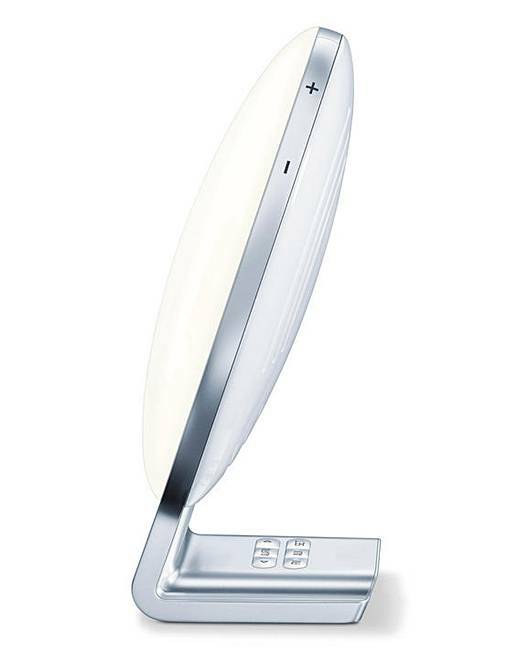 Can be used as a reading lamp. Charge smartphones via the USB connection. Rated 4 out of 5 by Debs12 from Nice gift for my hubby Little bit on expensive side but does what it says in the box.